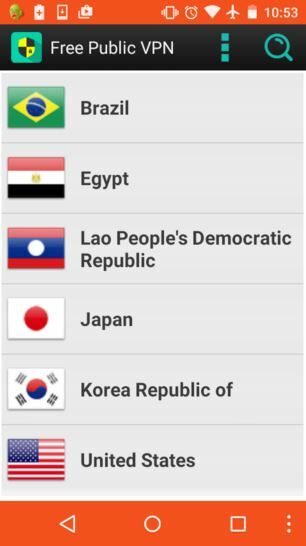 There are a lot of VPN apps available for Android. But, to make things easier for you, we have compiled a list of best VPN apps for Android. Don't forget to bookmark this page! It'll be regularly updated with new VPN apps for android. If someone steals your password, you can change it. But, if someone steals your thumbprint, you can’t get a new thumb. So, defending your sensitive information is a must. And, Android being the most popular mobile operating system, it is, therefore, the most wanted platform for hackers to look for easy targets. When you aren’t using the Internet on your device, your information is much secure compared to while you were online. Therefore, it is important to secure your network connection (Internet). And, in order to do that, you need a VPN service. So, now let’s get to the roots of a VPN and also get to know about the best 30 VPN apps for Android. What is exactly a VPN? A Virtual Private Network is a network technology to encrypt your Internet connection. As the name suggests, it creates a “virtual” private network. It provides an encrypted tunnel for the transmission of data. Why do we need to use VPN services? VPN Services provides an inexpensive way to secure our network and prevent interception of the data. It prevents Eavesdropper from sniffing your online network. If you do not use a VPN, your online activity can be easily tracked in real-time depending on the type of network you are using. 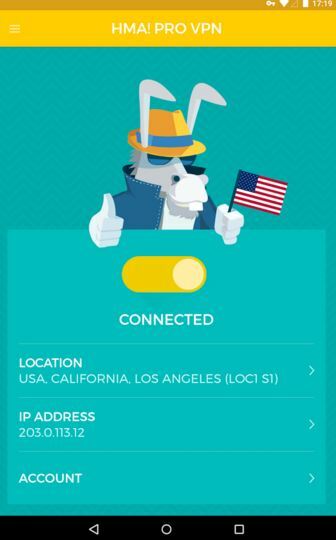 A VPN service is helpful when you are connected to an open public WiFi network. Even if you are using a public network, the VPN service would encrypt your data and prevent a snooper from stealing your credentials and other sensitive information. 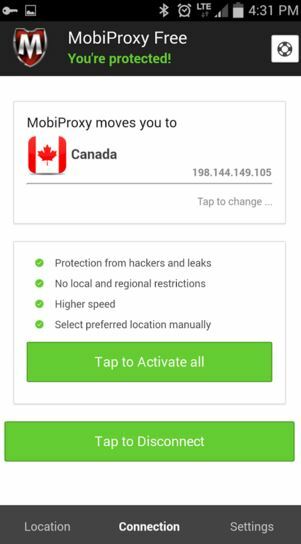 A VPN service not only protects your data on-the-go. But, also defends your online identity. It prevents search engines to track your location (it provides a different location instead). You can also hide your online activity from the Internet Service Provider. Don’t let advertisers collect your information (correct demographics). There’re a whole lot of advantages of using a VPN. A free VPN service. There’s no limit on bandwidth and data usage. It’s a basic VPN app with promising security. It selects the desired protocol automatically to provide effective and reliable circumvention. This VPN app comes with a rich user interface, developed by Smart Security Ltd. comes in a 22 MB package. However, we observed that the original Internet speed was affected at times while using it. 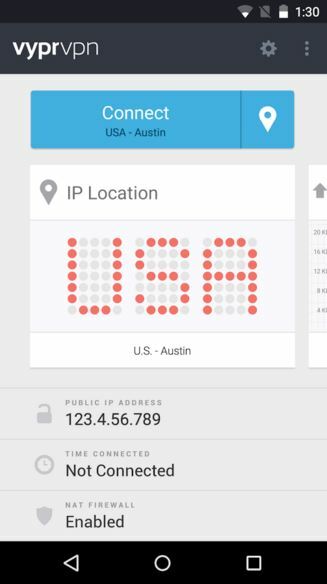 As the name suggests, this VPN service is completely free. It offers a wide range of server locations for free. So, you could select the most appropriate server with the best speed and lowest ping. If you are not in a mood to get a premium subscription for using VPN, then it should be your choice (ignoring the UI design). It’s just a basic VPN app with a bunch of free server locations. It comes with the Android 6.0 support. However, it comes with a limit on data usage. And, in order to increase the limit, you need to pay for the premium subscription or you can install the promoted apps to get extra data usage. But, the premium subscription charge is cheaper as compared to other VPN services. It is a great VPN service with no data usage limits. However, it automatically redirects you to the desired server location with optimum speed and low ping. It offers you a premium and a reward account as well. If you select the reward account, you could earn more as you use the service. If you want to manually select the desired location, you would have to pay for the service. 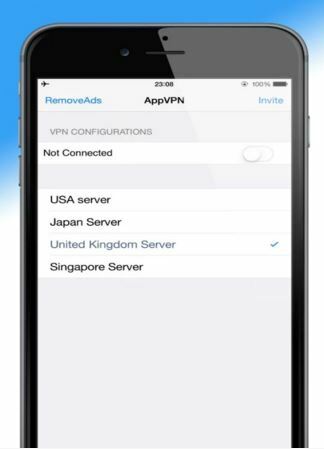 An absolutely free VPN service with no in-app purchases and you do not need an account in order to use the service. It is resource friendly as well. Although, the UI isn’t much appreciated, but will do for users who are least concerned about the UI. Developed by VPN in Touch being of 10 MB in size. It is a free VPN service but with restrictions in the bandwidth. You get only 500 MB of usage per month which is way too low. 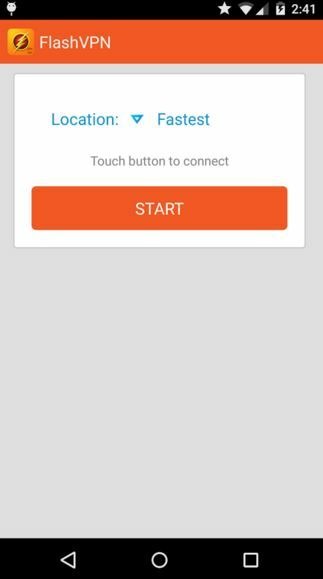 However, it gives you the option to share the app with friends and upon successful referral installation, you would get 150 MB bonus each. Although, it lets you use the Adblocker feature for free. If you would opt for the premium VPN packages, then you’ll get to use a “Data Saving” feature which compresses the data packets and saves your bandwidth. 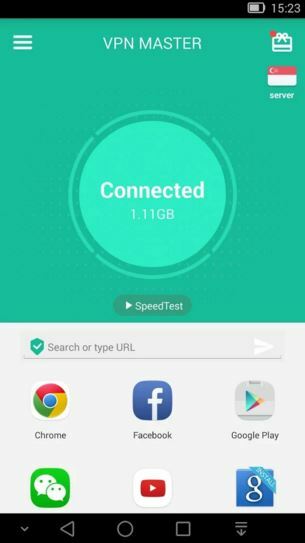 Data saving feature is useful if you are on a metered Internet connection. 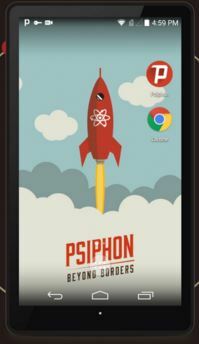 A powerful VPN service with a list of limited countries, but it includes some different server locations (India, Luxembourg, Russia) which you wouldn’t find on other free VPN clients. However, there’s a limit on the data usage up to 1500 MB. So, you need to opt for the premium subscription to get more data usage limit. But, the bandwidth remains the same. So, you would get a great Internet speed even without paying for the service. Developed by eVenture Ltd, Hide.me is of 8.2 MB in size. It is indeed a popular VPN (proxy) network used by various PC and mobile users. But, you need to register an account in order to use the service. Initially, you get the free account which comes with limitations (2 GB data usage, limited locations, and others). If you are willing to pay for a VPN service. This would be a pretty good choice. It is a paid VPN app for Android. Yes, you can download it for free. But, in order to use the service you need to activate an account with desired premium subscription plans. It offers numerous server locations. And, that’s the reason it isn’t free. HideMyAss provides you the biggest global network of VPN services. It isn’t something that could be offered for free. So, purchasing the premium package seems to be a fair trade for securing your connection and data as well. 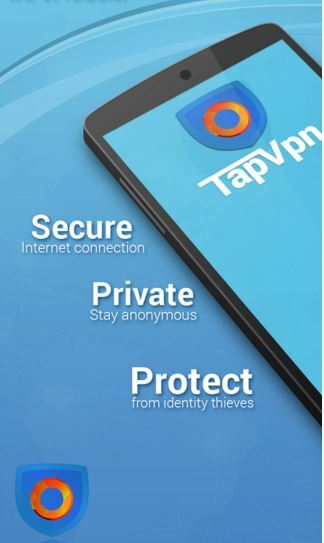 Developed by the talented OpenVPN team, this app offers a highly secure connection. However, you need to register an account to start using the service. We experienced some login issues after setting up the account. But, it was fixed after rebooting the device. And, it provides a better encryption mechanism than the VPN apps mentioned above. 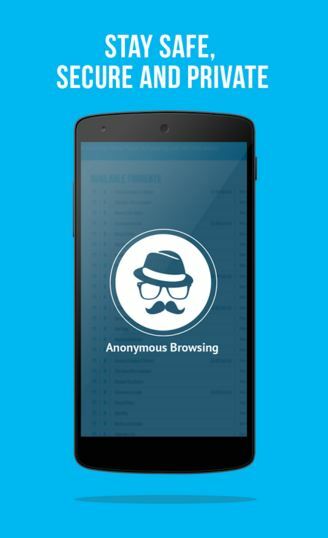 It’s a feature-rich and a powerful VPN for Android. It’s free to use. But, you get only 500 MB data usage limit per month. Although you get less data usage limit but you can control the server location for individual applications. 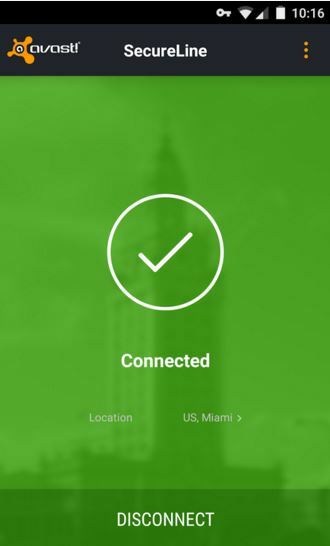 For instance- you can set WhatsApp to be connected from the United States while the Google Chrome connection appears to be connected from Netherlands. So, you’ll have enhanced protection. It offers a bigger data usage limit i.e 2 GB per month. 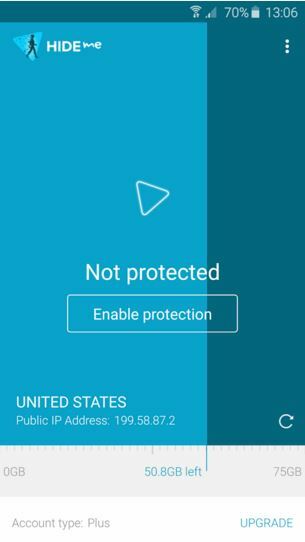 PureVPN features an interesting approach of selecting the purpose of your VPN use, and accordingly it optimizes your connection. As the name suggests, it is absolutely free to use with no data usage limits. You’ll get a lot of server locations for free hosted by the VPN Gate project. It supports OpenVPN as well. Developed by Avast, it is one of the most trusted VPN application. But, it isn’t free. However, to try the service, you get 7 days of trial period. I enjoyed the service with no significant loss in the Internet connection speed. Doesn’t come equipped with a great UI. But, it does connect incredibly fast with no visible loss in the Internet connection speed. 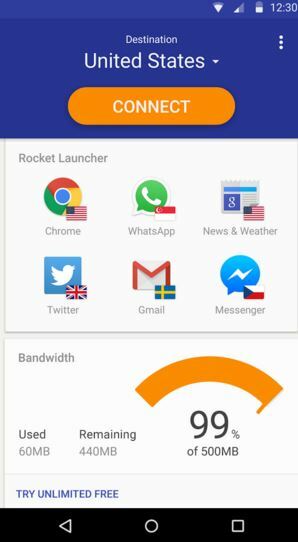 It is a simple yet powerful VPN with unlimited bandwidth. It is a free VPN which requires no registration and provides unlimited bandwidth. Although it comes with limited server locations, but bypasses most of the powerful firewalls. It is a premium VPN app. Although, it offers 3 GB of bandwidth per month. It is suitable for users who only use instant messengers and email services. But, if you are a power user who regularly download apps and media files, then 3 GB wouldn’t be enough, but it is always better than 500 MB usage offered by other premium VPN services. It is a free VPN service with unlimited bandwidth and which automatically reroutes your connection to the nearest server. Automatically selecting the location is actually an efficient method which ensures maximum speed and lowers ping. It also provides you with a private browser. 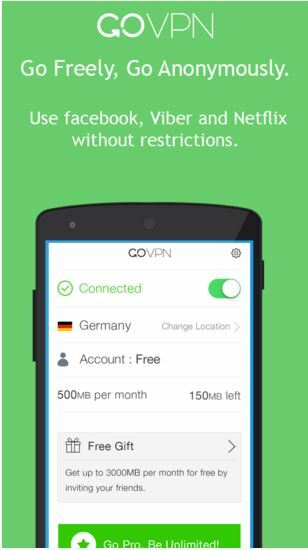 This VPN service offers no in-app purchases, that means it is completely free! It requires no registration, nor it records your activity. 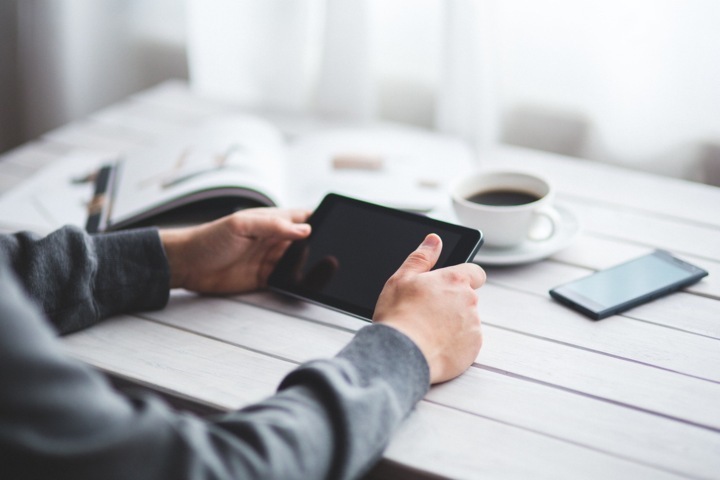 It provides unlimited bandwidth, unlimited data usage, and fastest connection. 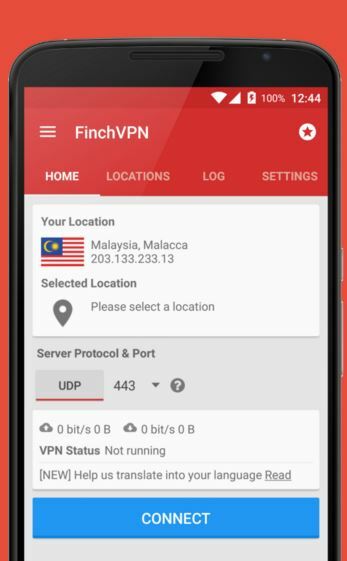 FlashVPN is a popular free VPN service for Android. It has a really simple user interface. And, it offers automatic rerouting of connection for the fastest speed and manual server selection as well. It offers various attractive features which include malware protection, phishing protection, advertisement tracking protection etc. However, it is not a free VPN service. You get a 14-days trial period to enjoy the premium features (malware protection, tracking protection etc). And, after the trial ends, you would have to subscribe to the service or keep using the free features. 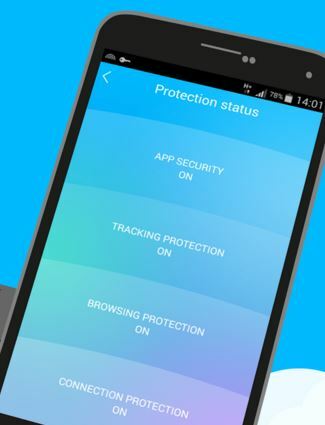 You May Also Like – LEO Privacy Guard For Android: Best Privacy Guard, Is It? 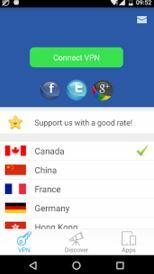 It is one of the best free VPN services available on Android. Although, it isn’t feature-rich. But is secure and reliable. If you do not want to opt for a premium VPN service but want to use a trusted quality VPN service, then this should be on your wishlist. It is known for its ease of use. 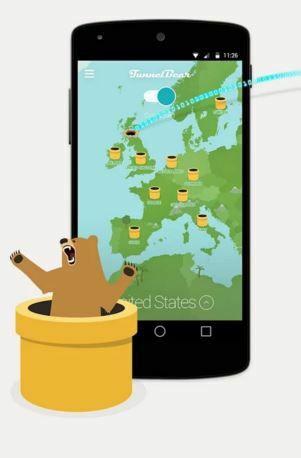 Even it offers a limited data usage and needs premium subscriptions to unlock unlimited bandwidth and data, still there are a lot of users who have paid in order to use TunnelBear. So, it is highly secure and the premium subscription is worth the security it provides. 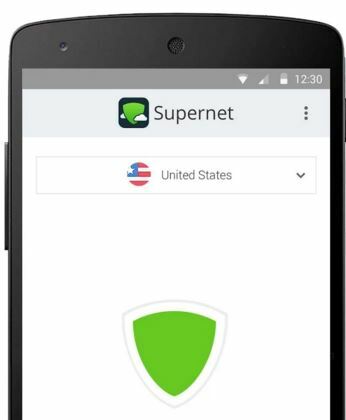 It is one of the most popular premium VPN services for Android. It offers 24 hours of free service usage, and you need to pay for the premium services in order to continue using it. ExpressVPN offers a wide range of server locations in 78 countries around the world. That’s huge! 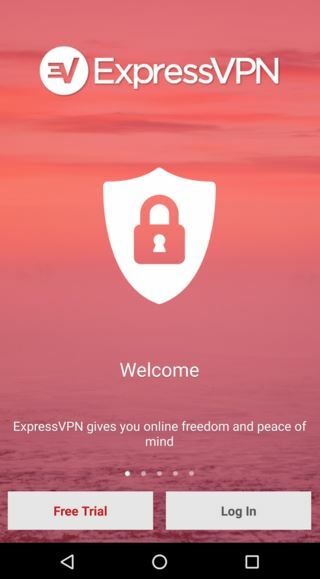 It is also a similar premium VPN service like ExpressVPN. But, it does offer a free option. It offers 3 GB data usage limit per month along with limited server locations for free. But, if you are willing to purchase the premium subscription, then it would be cheaper than Express VPN premium packages. 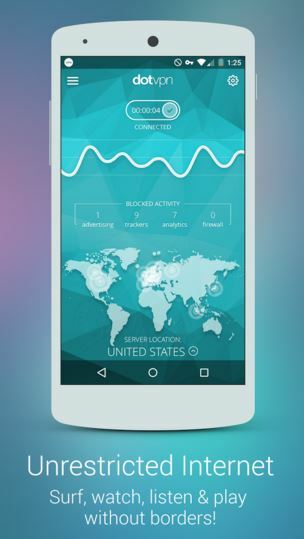 It is one of the most popular free and premium VPN service available for Android. You need to create an account in order to use the service. There is no limit on bandwidth and data usage with the free account but you would encounter limited server locations. 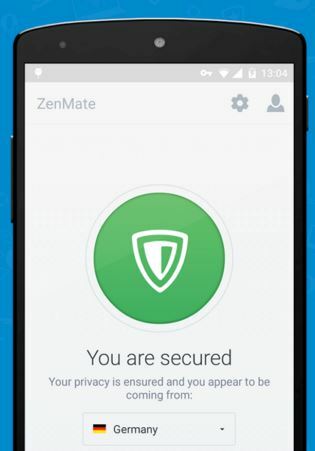 For premium users, ZenMate provides additional protection features like Malware protection, Tracking protection, and more server locations. It is yet another premium VPN app which also offers a free subscription plan of limited data usage per month. However, you can make use of referral programs to increase your data quota. With the premium subscription, you would get the Ad-tracker blocking feature which would ensure complete online anonymity and security. It has an impressive UI as well. It is literally the best VPN (proxy) service interestingly offered for free. It is a part of Tor Project which works for online anonymity. 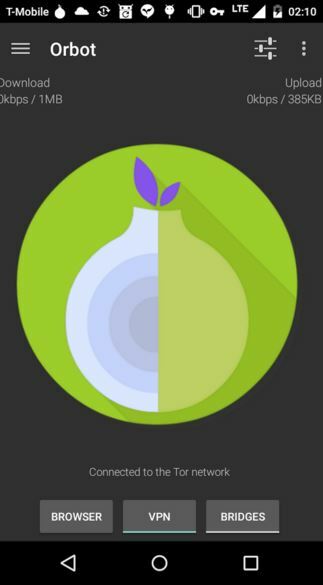 And, the Tor network is free but it is something powerful than any premium services available. 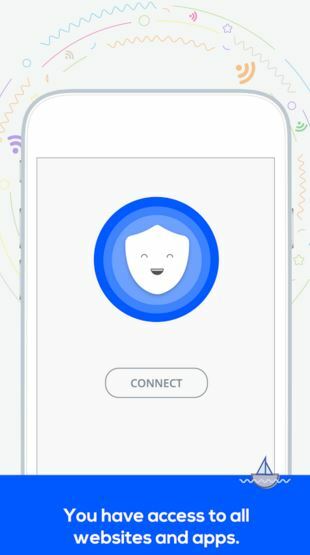 In comparison to other VPN services, Orbot is absolutely free with no limits but with even stronger encryption.When enabled it connects you through several server location, which makes it difficult to track your location. As the Tor network is sophisticated and highly encrypted there may be some visible loss in the Internet connection speed. But, we didn’t encounter any. And, if we consider the UI, Security, bandwidth, and features offered, this would be the ultimate VPN choice without even spending a penny in order to use it. So, if you were not using a VPN service before, you should get started by installing any of the apps mentioned above. And, if you were already using a VPN service, switch to the best to ensure maximum protection. Orbot provides maximum security, SurfEasy offers best UI and other VPN apps provide various unique features, choose the best for yourself. Which one did you opt for? Let us know in the comments section below. 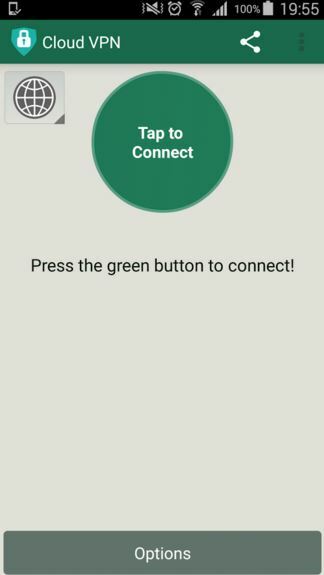 How To Fix Moto X Play WiFi Bug?